These beads are engineered in accordance with the global quality standards. We conduct series of quality tests in our in-house quality testing unit on all these beads to ensure these are perfectly safe for use on any type of road surfaces. Glass beads lend a reflective power called retroreflection that makes it much easier for drivers to see the road at night. This is especially true when the road is not otherwise well-lit. In a busy city, streetlights may combine with headlights to form a higher visibility situation. However, on country roads and in rural areas, the car`s headlights may not provide enough visibility to keep a driver safe. This is especially a concern on winding roads with relatively high speed limits. Retroreflection, provided by the beads, reflects more light back at the driver so that the driver can see markings better and at a greater distance. In this way, glass beads help improve sight lines and driving confidence at night. Thermoplastic Paint Preheater is professional equipment for melting hot paint. It has the advantages of large capacity, saves heating time, and greatly improves stirring efficiency. Thermoplastic Road Marking Machine can mark all sorts of lines, such as straight line, dotted line, curve, oriented arrow, and letters. All standards thermoplastic paint and Reflective Road Marking Spherical Glass Beads, can be manufactured as request. KOREA KS standard and Chinese standard. An intermix rate of 20% minimun by weight is recommended for optimum reflectivity and durability. A surface application rate of 300 - 400 gms/sq.m is recommended for maximum reflectivity and durability. This specification is intended to be mixed into road marking paint, piror to application. It is recommended that 500 - 600 grams of beads be added to each litre of paint for optimum reflectivity and durability. Looking for ideal Road Marking Glass Beads Intermix Manufacturer & supplier ? We have a wide selection at great prices to help you get creative. All the Reflective Road Micro Glass Beads are quality guaranteed. 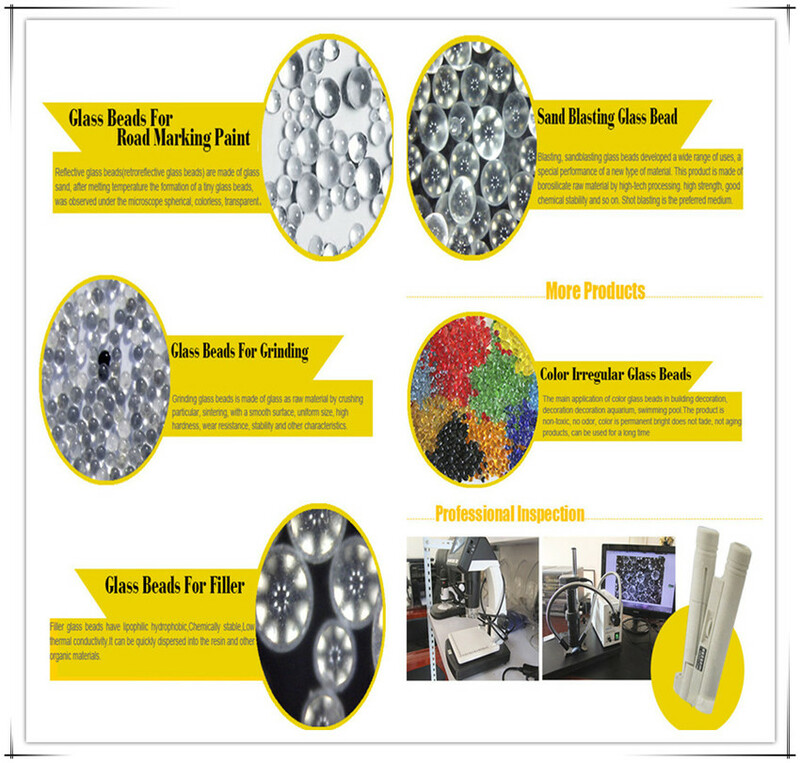 We are China Origin Factory of Road Line Micro Glass Beads. If you have any question, please feel free to contact us.